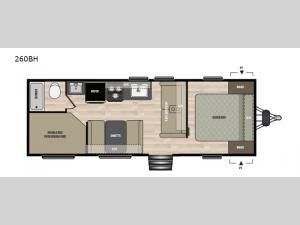 You are sure to love this Keystone Springdale 260BH travel trailer from the front private bedroom to the numerous overhead cabinets to store your camping needs! 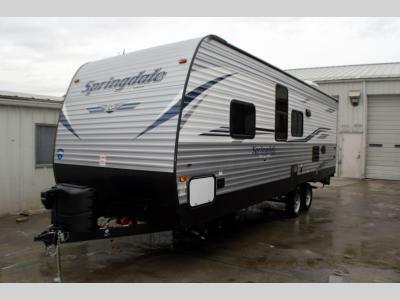 This unit is known as the #1 selling bunkhouse so you know your kiddos are going to love sleeping in their double bunk beds. There is also a convenient rear bath located next to the bunkhouse, which should help eliminate and late night accidents. 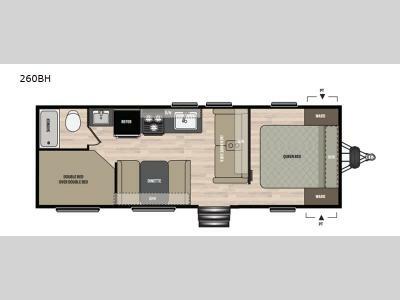 You can enjoy your delicious meals at the booth dinette or even the jackknife sofa, which both of these can transform into extra sleeping spaces.